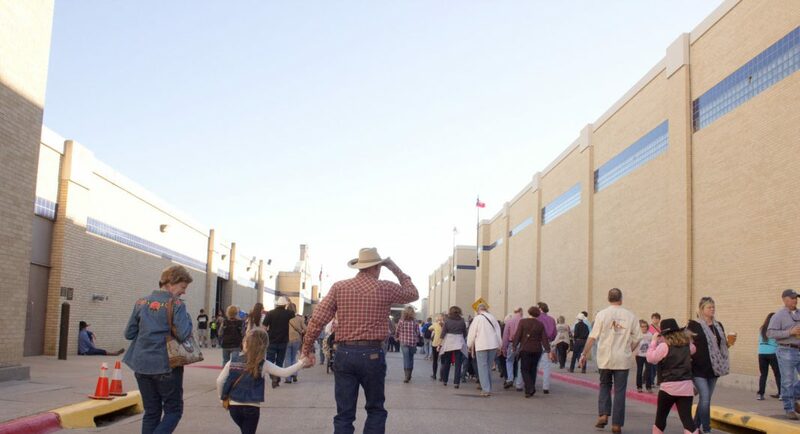 Families gather around Will Rogers Coliseum in Fort Worth to watch the rodeo events, eat and spend a day out in the sun. 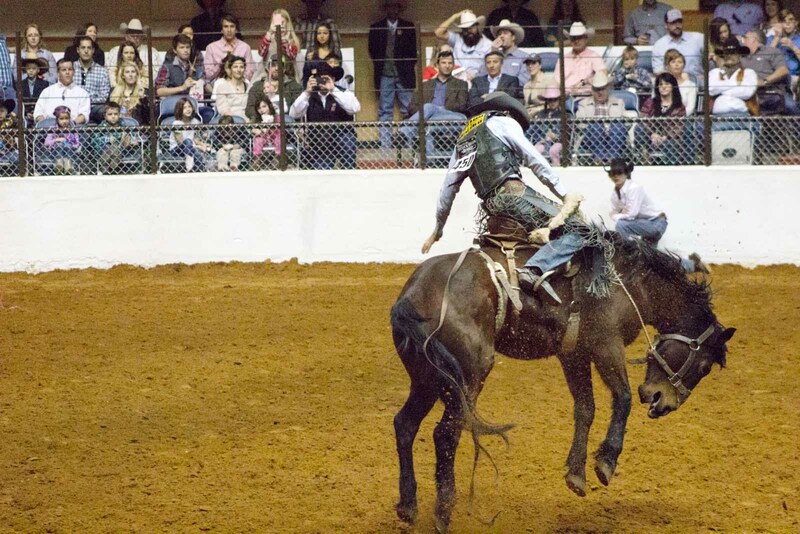 The annual event draws thousands of visitors. 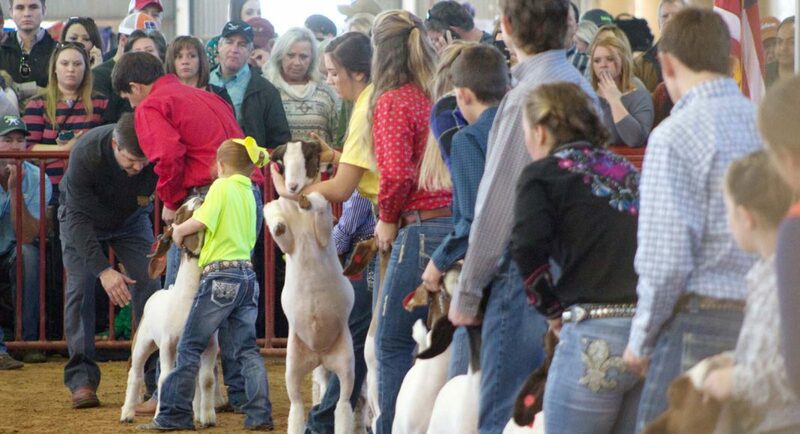 Children show off their goats to judges in hopes of winning the blue ribbon. 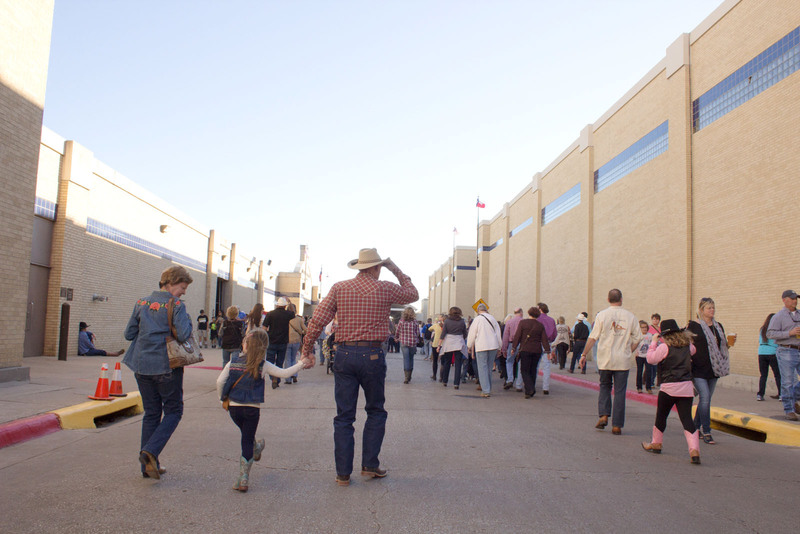 The first Stock Show was held in March 1896 just off of Marine Creek in north Fort Worth. 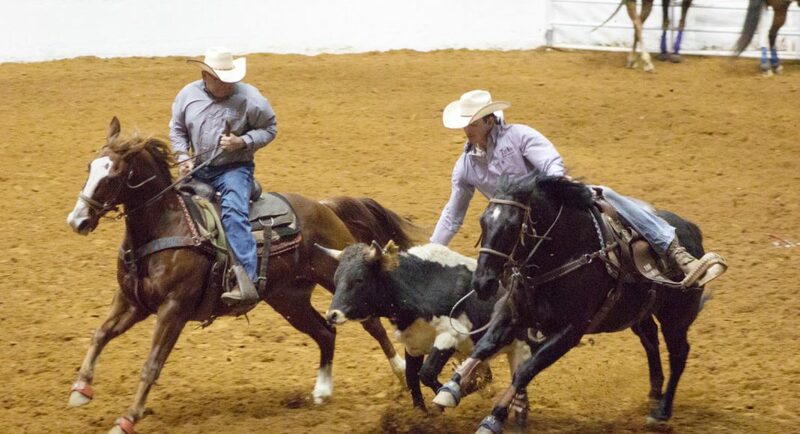 Two riders compete in a roping event with a young calf. 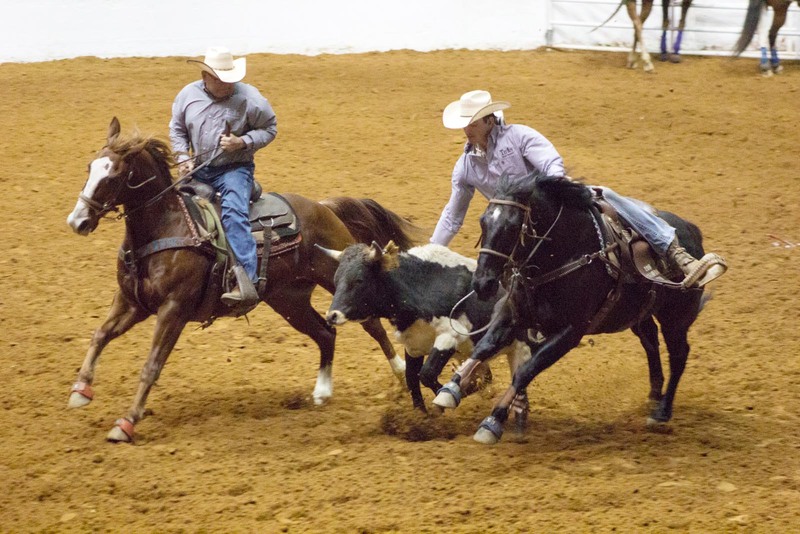 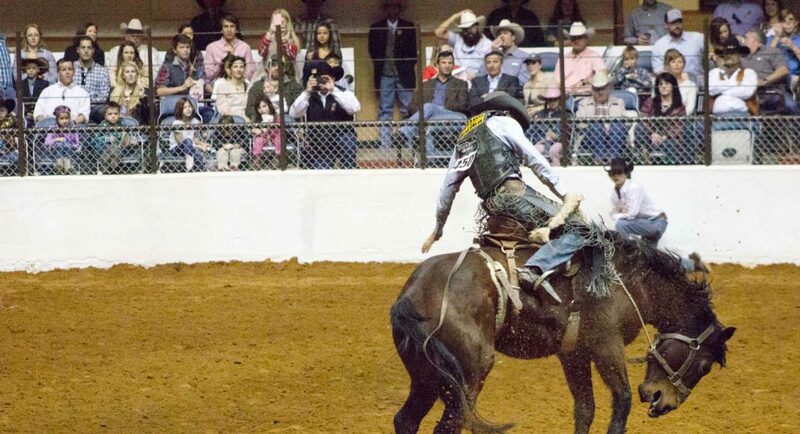 Calf roping is based off of work that ranchers do and is one of the oldest rodeo events. 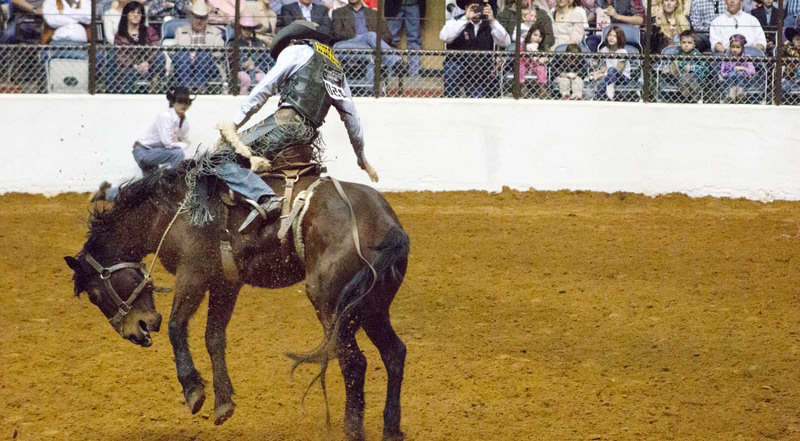 A competitor holds on to the reins as he participates in bronc riding. 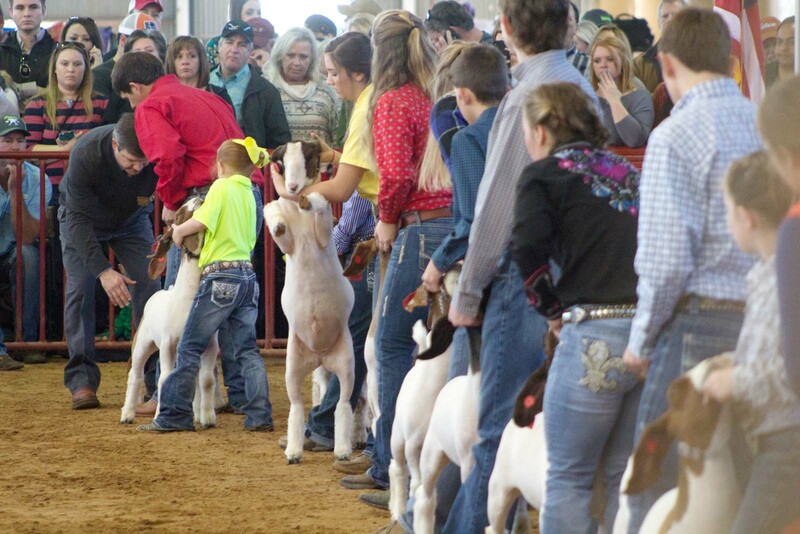 This event is timed and whoever can stay on the longest, wins the prize. 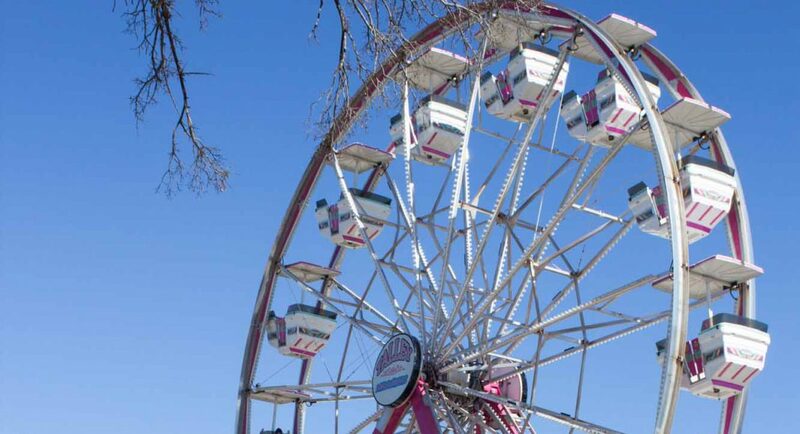 Families visit the Casa Manana parking lot for a day out in the sun Jan. 30. 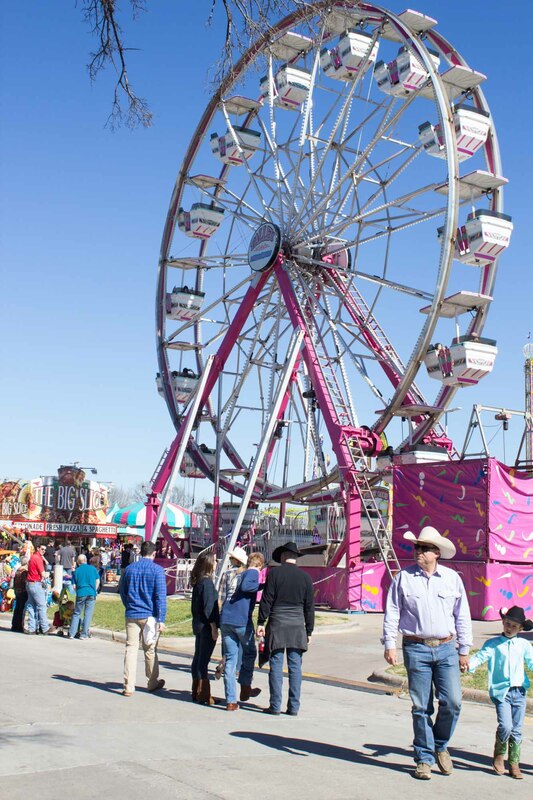 Carnival games and rides are one of the many attractions that bring people out for the event.